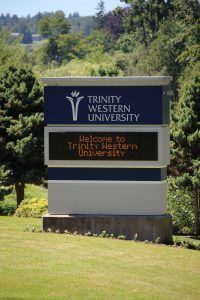 This entry is part 42 of 42 in the series Trinity Western University. TWU’s Board of Governors decided on Thursday, August 9, that its Community Covenant would no longer be mandatory. This is a dramatic turnabout given the long legal history of the Covenant. 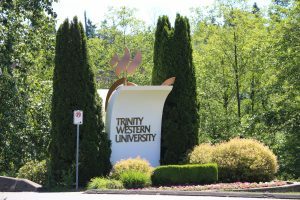 In 2001, the Supreme Court of Canada (SCC) ruled that the BC College of Teachers’ opposition to the Covenant was against the TWU Community’s Charter right to religious freedom. 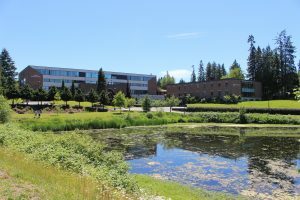 In 2018, the SCC ignored its 2001 decision and held that the Law Societies of BC and Ontario were authorized to deny TWU’s law school accreditation because of the mandatory nature of the Community Covenant. The SCC deferred to the Societies’ judgement of what was the best decision in the “public interest” (as the Societies defined it). And, since the Covenant discriminated, (even though such discrimination was lawful – in keeping with a religiously diverse society) the Societies were entitled to apply “Charter values” to the situation and rule against TWU. As I have argued on this blog, the SCC betrayed the Charter promise of religious freedom by those decisions. TWU’s Community Covenant outlined the responsibilities of the faculty and students. The opposition to the Covenant was due to the requirement that sexual relations not violate the sacredness of marriage. Marriage was defined as one man, one woman, for life. The law societies denied the law school accreditation on the basis that the mandatory Covenant discriminated against the LGBTQ+ community. Ultimately the SCC agreed with the law societies – despite the Charter protections of religious accommodation and its 2001 decision. 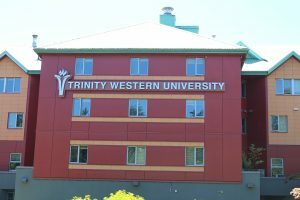 Trinity Western University and the Legal War of Attrition: Isn’t It Time To Let Diversity Flourish? I completely agree with theTWU recent decision. As a Christian and though I do endorse the principles they reflect and stand for I have never felt comfortable with the idea of signing a ‘covenant’. How one lives is far more important in my view then a mandatory signing of a ‘covenant’. I congratulate them on coming to a decision which undoubtably must have caused some consternation for some board members. How does this about-face by TWU square with your allegation that the SCC betrayed the Charter? It would appear from the TWU’s own perspective that it doesn’t believe it is sacrificing anything of substance by removing the mandatory covenant. Indeed, this action by TWU – which should be applauded – appears to confirm the judgment of Justice Rowe who had difficulty locating an actual breach of the Charter in the TWU case, noting that there did not appear to be real genuine belief that the covenant was a core part of the faith of the community. And if that is the case, perhaps its time for the critics who predicted the death of ‘freedom of religion’ to walk back their dire prognostications and see the TWU decision for what it was. Thanks so much for your great question. I wish I could walk back my criticism of the SCC’s TWU decisions. Alas, I cannot. These decisions are proof positive of just how problematic our jurisprudence on religious accommodation has become. Our court created a horrendous situation for a religious community who did nothing unlawful and was simply following its religious beliefs and practices on marriage that have, until now, been accommodated by our constitution. TWU struggled long and hard about their subsequent decision to no longer make its Community Covenant obligatory for their students. There is, no doubt, much more complexity than meets the eye as to why they decided the way they did. And, at the end of the day, it is their decision to make. Some may consider it a win for secularism, or human rights. Some may say that Justice Rowe was correct. I consider it an example of the failure of our constitution to live up to its promises of respecting and accommodating religious freedom and diversity. TWU may have been able, after much soul searching to change their minds on the obligatory nature of the Covenant, but rest assured there are other religious institutions who cannot. We should not take TWU’s decision as somehow justifying these decisions. Third, all Canadians need to be concerned about the problem of “Charter values” removing Charter rights. The TWU 2018 decisions reaffirmation of the controversial “Charter values” language is bound to create havoc for all the reasons Justices Rowe, McLachlin, Côté and Brown described. The taking away of religious freedom, a Charter right enshrined in the Constitution, by means of a “Charter value”, that has no constitutional validity whatsoever, is beyond belief. No, these TWU 2018 decisions deserve all the derision they have received from the religious community, and increasingly from the academic community as their significance and misapplication of the Constitution is made plain upon further reflection. I think this distorts the jurisprudence and is unsupported by a close examination of it. TWU 2001 affirmed that freedom of religion is not absolute. Simply because TWU won then and lost today does not speak to the right changing. In reviewing TWU 2001 it repeats time and again that BCCT did not fortify its claims with “concrete evidence” of discrimination. Moreover, BCCT argued – wrongheadedly – that by being discriminatory, its graduates would be discriminatory. This was faulty logic at best. Ultimately there is no significant legal shift between TWU 2001 and 2018 – rather, the evidentiary burden was satisfied in 2018 in respect of the impact of discrimination and the argument was not that TWU graduates would be prejudicial toward others – silly – but instead focused solely on the impact of recognition of discrimination to a historically marginalized community and whether sanctioning by a public institution amounted to tacit support. 2. Rowe’s argument was not the subject of discussion or focus by the other judges. I would not say it is therefore out-of-step with those other judges. Freedom of religion has set a notoriously low bar for claimants – perhaps rightly so, the judiciary does not want to wade into what is/isn’t religion. That said, clearly there must be a limit. Freedom of religion cannot be carte blanche for anyone/thing claiming to be religious. In the seminal labour trilogy cases that defined the freedom of association in the 1980s, there was concern about giving 2d an expansive definition in the event that someone used the mere fact of doing something together (in association) as a means to get around a prohibition that otherwise affected individuals. Concretely, the SCC was concerned that a gun “club” or the like could invoke 2d to resist laws that would otherwise be unproblematically levied against individual gun owners. Similarly, freedom of religion cannot allow anyone who expresses a strong conviction in something to therefore be permitted to do or say anything. While it is understandable that a targeted community (e.g. Christians) may believe that is incredibly unfair when that affects them, I could see those same people happily in support when a different religion wishes to enforce its values without limitation. Moreover, given 2a is broad enough to encompass all sorts of non-recognized/established religions, this is perhaps a very good thing indeed. All of this is just a more complicated way of saying what has been said before: freedom of religion is not absolute (TWU 2001). Rather than simply skip over the low bar that is the claim for 2a, Justice Rowe was wise to ask whether or not something like an admission covenant of a quasi-public educational institution (i.e. NOT anything like a church) was properly connected to the faith community behind the institution. This properly engages an analysis of remoteness. Surely you would agree that merely because something in some way originates from or is connected to a bona fide religious community does not give that thing – no matter how far disconnected from its source – the same power and authority as that source. Degrees of separation matter, especially where a freedom is not absolute, and where, as here, we have movement from the purely private (a religious community) toward the public sphere (a public educational institution regulated by statute). Context goes to the heart of the matter. Moreover, Justice Rowe was right to ask about the evidence to establish the claim that the covenant was a bona fide belief. In both TWU 2001 and 2018 this was ignored given the low bar of establishing a 2a claim, and because in many cases it has been obviously an intimate part of the religious beliefs claimed. But here, the evidence in both cases showed that no one “has been denied admission because of refusal to sign the document or was expelled because of non-adherence to it” (TWU 2001). While this certainly takes a bite out of the discrimination argument it equally undermines the idea that this covenant stems from a sincere belief compelled by the practice of the TWU community’s religion. Again, 2a is designed to protect the religious core – it isn’t a means to protect the whims of a person or community (or segment thereof) that happens to be religious. Otherwise, the crossover between a religious and a political community, for example, would be effaced and the latter would be able to use the tools of the former for any end. As an aside, I think the “tyranny of the majority” quote you noted should be used with some restraint when the “tyranny” refers to precluding discrimination against an arguably even *more* marginal group than the minority implied by the original phrase. 3. I agree 100%. I am also very concerned. In sum, the TWU 2018 does not deserve the derision it has received. From my vantage, religious communities, perhaps rightly fearing an incursion into their freedoms, lost sight of the facts of this case in order to depict a cosmic battle between a tyrannical secular majority and good god-fearing minority. This portrayal was unable to anticipate, in my view, how easily TWU ultimately abandoned the covenant because it never seriously addressed it, nor how it was viewed/experienced by the community, the school, the faculty, the students, etc. While this is 100% anecdotal, every grad of TWU I spoke with, most of whom supported TWU instinctively in the suit, acknowledged that the covenant was a non-thing, a vapour, a political statement and not at all integral to anything experienced at TWU. This covenant should *never* have been the hill religious folks staked to die upon in order to defend freedom of religion. Alas – the folly of solidarity is that sometimes it is little more than blind partisanship! Jason, I am puzzled by your comments that TWU “doesn’t believe it is sacrificing anything of substance by removing the mandatory covenant.” TWU took this issue to the SCC to defend its right to have the mandatory covenant. It lost. It has now made the covenant non-mandatory in compliance with the decision. That is how the law works. You may be an avid cyclist. The city imposes a cycling restriction between the hours of 2 and 6 am. This restriction has never affected you but you may still challenge the incursion into your freedom. This distinguishes a fight on principle and one of substance. The evidence in both TWU cases indicated the covenant was not a serious article of religious faith or practice. It was possivly derivative of them but far removed. As for how the law “works” I believe you are gravely mistaken. TWU was not commanded to dispense with their covenant. They could have maintained it but would not have been able to expect their law grads to be accredited in BC and Ontario. That was the extent of the decision. TWU chose to dispense with the mandatory covenant. So either you believe it voluntarily sacrificed a core part of its religious practice and beliefs for a law school (with accredited graduates), contra the evidence, or you admit the covenant was not substantive and they dispensed with it precisely because it wasn’t worth inconveniencing their plans.